$1.99 to $63.99 & FREE Shipping on orders over $59 $35. Crisp No. 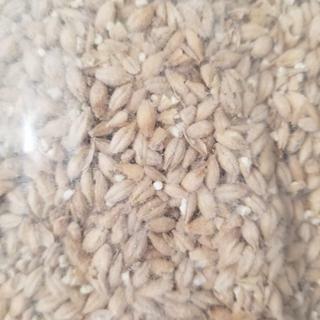 19 Maris Otter Malt (formerly Gleneagles Maris Otter) is an heirloom varietal that is World renowned for its deep, rich flavor. It is considered Heirloom because it is an old variety with a very low yield of 1.5-2 tons per acre. Modern varietals now produce up to 4 tons per acre. Why do farmers grow Maris Otter when new high-yield, disease resistant varietals are available? Because Craft Brewers around the World are willing to pay a premium for the complex, authentic pub flavor that Maris Otter provides. Please note this is the distinguished Glen Eagles version of Crisp Maris Otter. Crisp produces two types of the Maris Otter malt. A regular version malted in modern silos and this exclusive Glen Eagles version of their Maris Otter that is floor malted by hand in the traditional way. This malt is obviously great for all English style Ales but is perfectly suited for any beer where you want a rich, bready malt flavor. Your homebrew and labor deserve the best ingredient possible. Great for English and American pale ales. Recipe called for it, and the MoreBeer description of this one was enticing. Excellent base malt for Barley Wine. All I use for English ales. MO is my favorite base malt. High quality, rich malt from the real deal. Wanted traditional english malt for barleywine. This grain is the best I have found for my ESB. Great for all English style beers, but a must if you enjoy bitters. I enjoy the taste of Maris. Itâ€™s the best malt in the world!! One of my absolute favorite base malts. Love the tradition and extra heft of the floor-malted. This product is organic and hand malted! Love it! My favorite of the English malts! It seems to be a little more sweet with extra body. High quality malt that I have used before. Love the Gleneagles floor malted barley. There's no better Maris Otter Malt. Wonderfull Bread & honey aroma during the mash that carried over to the post chill gravity sample. Tasted great too. DO NOT GET THIS GRAIN CRUSHED!!! HORRIBLE! ENDED UP WITH 30% EFFICIENCY. VERY DISSAPOINTED!! Hello Walter - We apologize such a wonderful grain was distributed without a proper crush. If you haven't already been compensated or taken care of, please do not hesitate to reach out to us at info@moreflavor.com or 1-800-600-0033. It is all I use for my English styles. I just love the extra depth that it adds. Highly recommend it. If you want your IPA's and Pale Ale's to stand out, try Maris Otter malt. I often use it 50/50 with US 2 row and it still stands out and I like to use the same recipe and see just how a different malt can make the ordinary, extraordinary. I don't use it very often but I've found others notice the difference in a good way too. Sometimes my beers just all have the same 'house' flavor and MO gives it a nice change and Gleneagles is the top of the top for me! Great review! We couldn't agree more with the complexity GR350 lends in normal beers, Gleneagles deserves all the praise they get for their crisp, floor malted, Maris Otter. I have marris otter in severall beers I have dreamed up my latest is clone version of Brew Dog Punk IPA my 1st came out wonderful my 2nd is about ready to keg the only difference between 1 and 2 is the hops. Extremely fast shipping. Excellent grain. I really enjoy the flavor of Crisp Gleneagles Maris Otter. I use it in my ESB and have never been let down. A great product at a reasonable price for homebrewers. This stuff is beautiful. The grains are much more plump than any other, you can actually tell them apart from other varieties once they are in the mash. Excellent Yeild! I got my first stuck sparge. Not fun. I will now always use rice hulls. My local brew shops don't mill as aggressively morebeer. A lot of fine flour like power in morebeer mill grains. Ingredients were very fresh and top notch. Just was not use to such small particle size. Love the fast and free delivery too. I love the bready, crackery flavor this gives; it is consistently fresh and good at MoreBeer. I should experiment with other base malts, but I'm so happy with this one that I rarely do so. I bought a sack of this malt. It has great british character. A must have for English styles, and to retain some backbone for American-style session beers. I love this base malt! I use Maris Otter as a single malt beer or as a blend with other base malts. It lends a warming buscuity flavor and slightly deeper color than 2 Row. This grain is worth the extra cash.